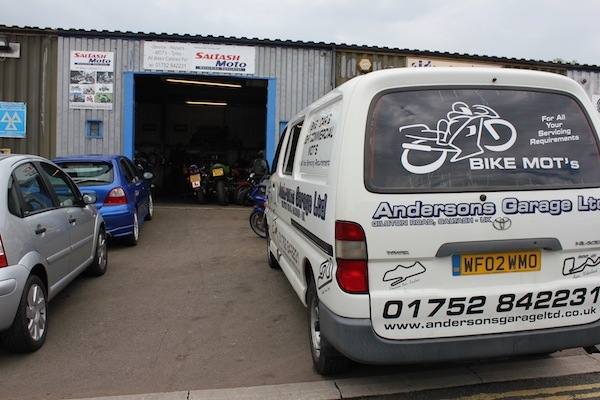 Andersons Garage in Saltash is a friendly family run garage that has been trading and building a reputable service since 1994.Our comprehensive workshop and MOT Testing Station is conveniently located on Gilston Road in Saltash. We are a Class IV (Car and Light vehicle) MOT Testing Station and Motorcycle MOT Testing Station with our subsidiary business “Saltash Moto” which specialises in all motorcycle servicing and repairs. To find out more about our services, either click the item’s mentioned above or hover your mouse over the services button on the top menu and select your choice.